21 august 2010 - Budapest, dworzec autobusowy Nepliget. Setra at 5:46 am at perfectly designed coach terminal. Along centrally placed building there are places for buses. Coaches go around building using wide street. From an interior of central building you may watch departing buses, which are also listed on huge diod display. 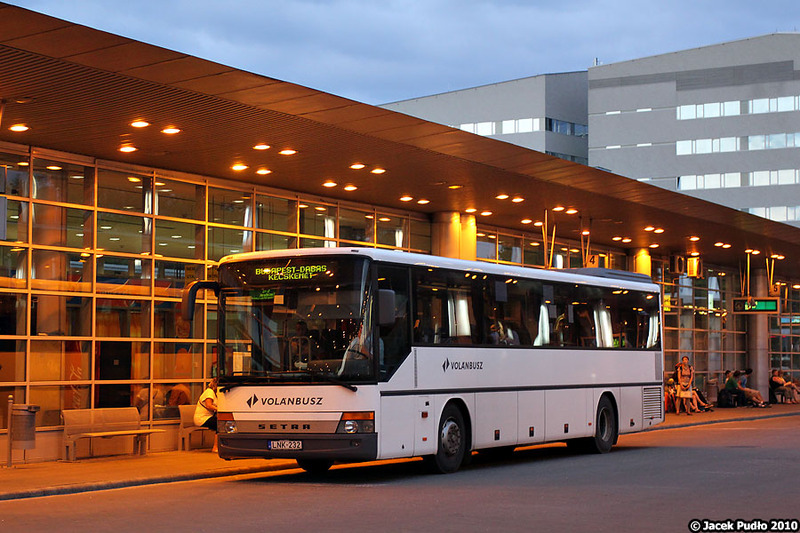 The bus terminal is spacy and may be served by buses of any size. Using escalator inside the building you get straight to the metro station. Meisterstück. Trzeba zapytać Øyvind Berg dlaczego wstawił te pytajniki. No właśnie ten dworzec wypada dużo lepiej w zestawieniu z RDA.